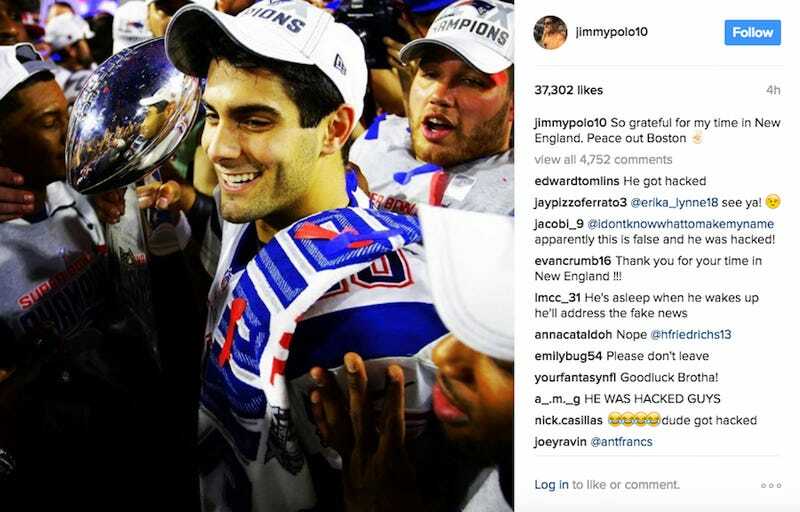 In the wee hours of the morning, on the second day of free agency, Patriots backup QB Jimmy Garoppolo’s Instagram announced that he’d be leaving New England. Could it be true? Did the Pats actually pull the trigger and trade their future for a buttload of picks? Maybe not, because someone deleted it.